Blair was an enlisted infantryman for almost four years in the United States Marine Corps. (For you fellow Marines, Blair was an 03-11 – rifleman). He served at Parris Island, Camp LeJeune, the Naval Sub Base Bangor (outside Seattle), and with the 3rd Battalion, 4th Marines, at Camp Pendleton. He spent six months TDY in Korea and Japan. He left the Marine Corps to finish his undergraduate education at Belmont University in Nashville. His law degree is from Pepperdine School of Law in Malibu, California. He spent a month as a barrister’s pupil to Simon Connely at the Middle Temple in London, and assisted his pupil master on trials at the Old Bailey. He also spent a month at a law program in Florence, Italy. The London and Florence programs were part of the University of San Diego law school summer session in 2000. He has completed the Harvard Law School’s Basic and Advanced Negotiation Workshops, the University of Virginia Trial Advocacy Institute, and the Trial Skills Workshop of the National Institute for Trial Advocacy. 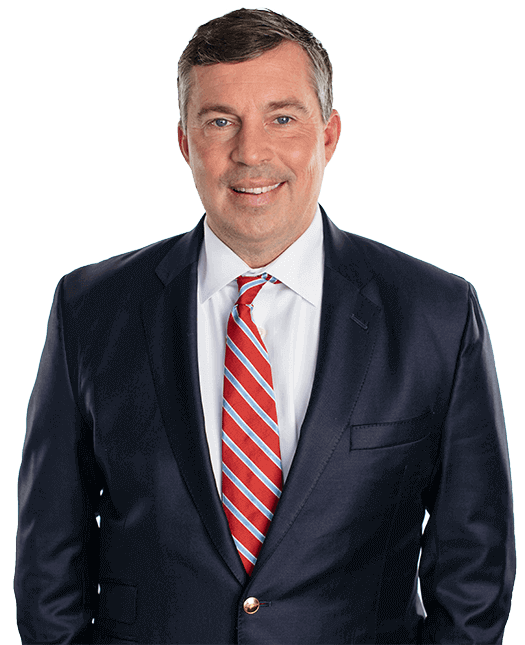 He is licensed to practice in California, Kentucky and Tennessee, and is a member of the Nashville Bar Association, Tennessee Bar Association, California Bar Association, Kentucky Bar Association, American Bar Association, and the American Trial Lawyers Association. Blair is married to the former Kelley Bean. They have two children, Ethan and Addy.